Chelsea striker Tammy Abraham has emerged as a surprise target for Galatasaray ahead of the summer transfer window. According to the football transfer rumours in Turkish Media, Galatasaray are looking to loan Chelsea striker Tammy Abraham. Tammy Abraham has joined Bristol City from Chelsea on loan until the end of this season. The 19 year-old has a valid contract with Chelsea until June 2019. 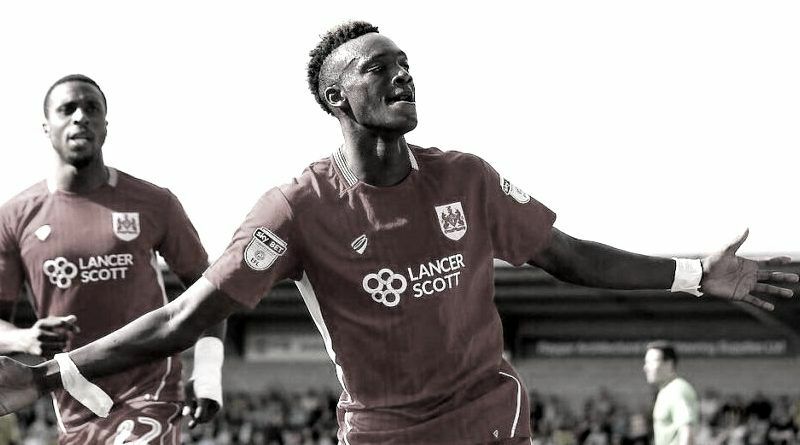 Since his arrival from Chelsea, Tammy Abraham has scored 21 goals and provided four assists in 39 games for Bristol City in all competitions this season. The 19-year-old is considered to be one of the most talented strikers in England. Tammy Abraham has represented England at Under-18, Under-19 and Under-21 level, winning 24 caps and scoring nine goals. The England international is thought to perfectly fit the profile of attacking player Igor Tudor wants to target in the next transfer window.